On completion of the two-year learning process, the students of Post Graduate Diploma in Management (PGDM) of Batch 2016-18 will receive the degree during the 23rd Annual Convocation. This dream day will be on March 24, 2018. Shri. N.S. Vishwanathan, Deputy Governor, Reserve Bank of India, will be the Chief Guest of this academic grandeur and will deliver the Keynote Address. Dr. D. Veerendra Heggade, Chairman, SDMIMD will preside over the function. Eminent personalities from academic and corporate world are invited to join the SDMIMD family in honouring the student in this awarding ceremony. Mr. N. S. Vishwanathan, is serving as Deputy Governor of Reserve Bank of India since July 2016 and as its Executive Director since April 2014. Mr. Vishwanathan served as Principal Chief General Manager in the Department of non-banking supervision at Reserve Bank of India. As Deputy Governor, Shri Vishwanathan will look after Department of Banking Regulation (DBR), Department of Co-operative Banking Regulation (DCBR), Department of Non-Banking Regulation (DNBR), Deposit Insurance and Credit Guarantee Corporation (DICGC), Financial Stability Unit (FSU), Inspection Department, Risk Monitoring Department (RMD) and Secretary’s Department. Shri Vishwanathan, a career central banker, joined the Reserve Bank of India in 1981. His areas of expertise include regulation and supervision of banks, non-banking finance companies and cooperative banks, currency management, foreign exchange and human resources management. He had a three-year secondment to the Bank of Mauritius, the central bank of Mauritius, as Director, Supervision. He has also been the head of Chennai Regional office of the Reserve Bank. Shri Vishwanathan was the Reserve Bank nominee on the Board of Directors of three public sector banks at different points in time. 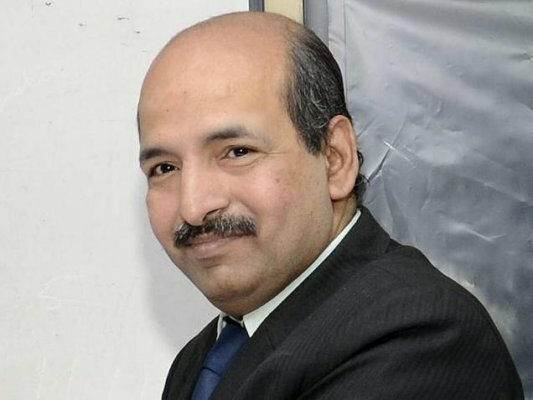 He was also the Chief Vigilance Officer and Head of Internal Audit, IFCI. He has been associated with various committees, working groups, and task forces. He represented the Reserve Bank in various international Committees. These are: Member of the Policy Development Group, BIS, Basel, Member of Macro Prudential Policy Group BIS, Basel, and Executive Committee Member of the International Credit Union Regulators Network.